Bringing together mayors and local councillors across the world, United Cities and Local Governments is a truly global organization with a democratic structure. 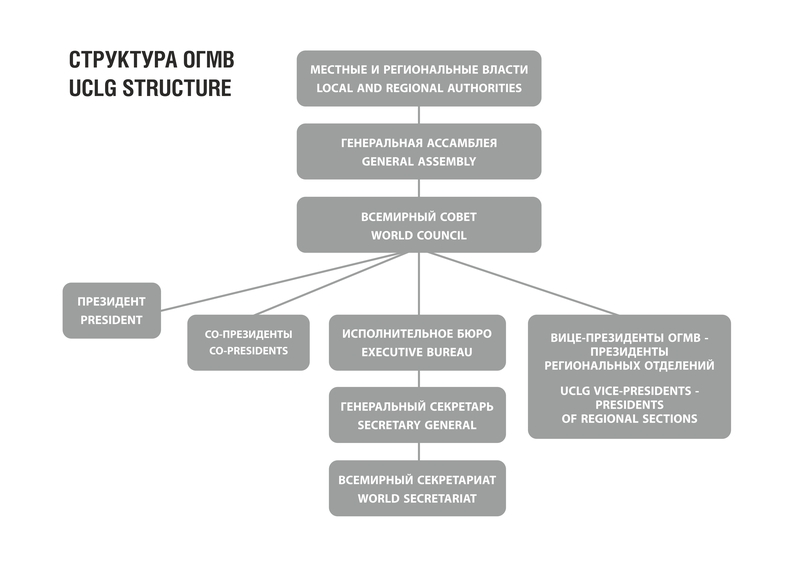 UCLG can represent all local governments large (including metropolies with population over 1 million) as well as small. 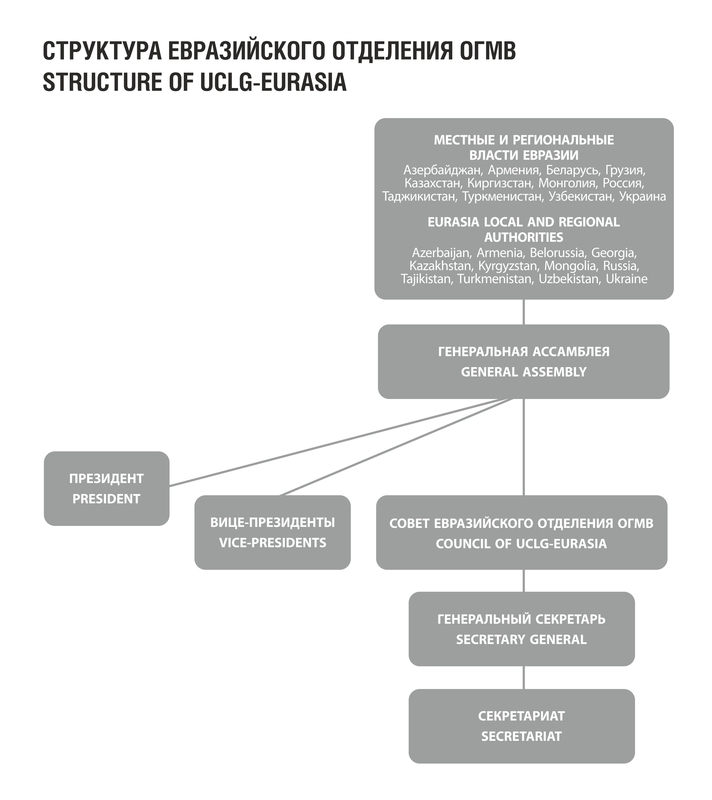 Superior authority of Euro-Asia section UCLG is General Assembly, which is held once in three years. Permanent is the Council of Euro-Asia section. The Presidentof Euro-Asia section is the head of the Council. The Council and the President are elected by the General Assembly for a term of three years. Executive body of Euro-Asia section is Secretariat of Euro-Asia section, which leads the operating activities of Euro-Asia section. Head of secretariat - Secretary general is approved by the Council of Euro-Asia section for a term of three years at the suggestion of the President of Euro-Asia section.